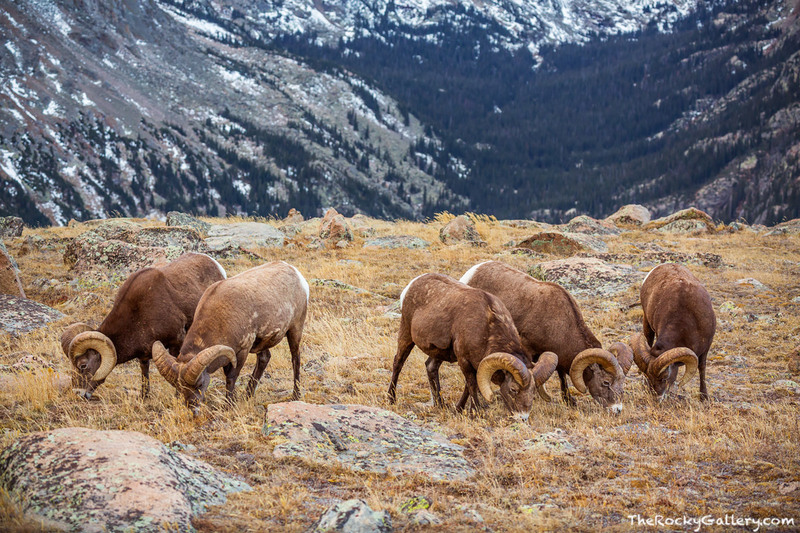 A bachelor group of Big Horn Sheep Rams are grazing the alpine tundra above Forest Canyon and the Hayden Gorge. In a scene that typifies Rocky Mountain National Park so well, these rams are right at home high above the rest of RMNP. Photo © copyright by Thomas Mangan.